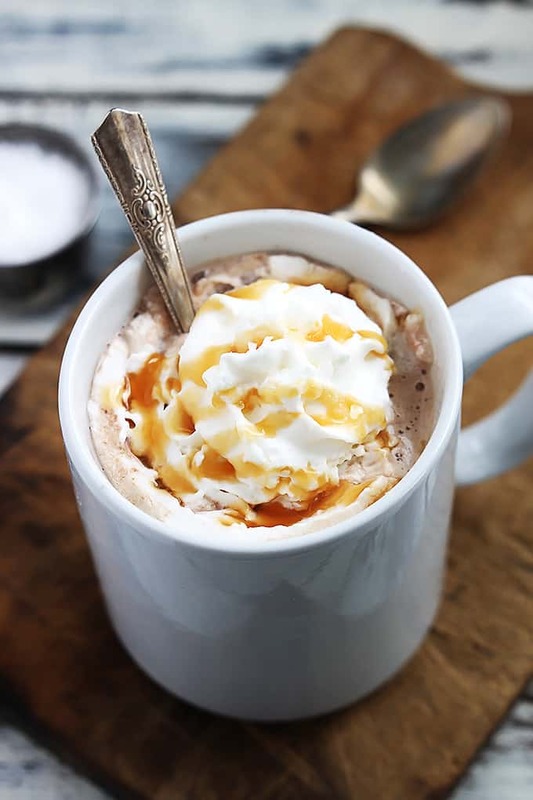 Creamy, rich Slow Cooker Salted Caramel Hot Chocolate made easy right in the crock pot! I have a hot chocolate problem. And by problem, I mean that I drink a lot of hot chocolate, often at inappropriate times. I’m working on it but, there’s a good chance that I’ll never fully recover from being a hot-choco-holic. We can still be friends right? I mean, odds are that at least a few of you are closet hot-choco-holics too and we really need to stick together. For recovery purposes. We need a support system. A couple of years ago my husband (a seasoned cruise veteran) took me on my first-ever cruise experience. I had hot chocolate every. single. day. Doesn’t sound that weird right? Except that this wasn’t an Alaskan cruise or a trans-atlantic cruise in January. This was a Caribbean cruise in October. Now you see what I mean by drinking hot chocolate at inappropriate times? It’s only half my fault though. The ship offered it! And it’s all-inclusive so I pretty much paid for hot chocolate, I might as well actually enjoy it if I paid for it. Plus you know that I also have an ice cream problem and the ship was serving hot chocolate about 17.3 feet away from the soft serve ice cream machine. GENIUS! I have my nightly gallon of ice cream, get all chilly, then hop on over and grab a cup of steaming hot chocolate to warm back up. But then it’s a bit toasty so I head back over to the soft serve machine…. It’s been uncharacteristically warm around here lately, usually we have a foot of snow on the ground by now but we’ve only had one snow storm come through and the grass is as green as ever. Yesterday and today thought have cooled off quite a bit and I’ve pulled the space heater out of the closet. 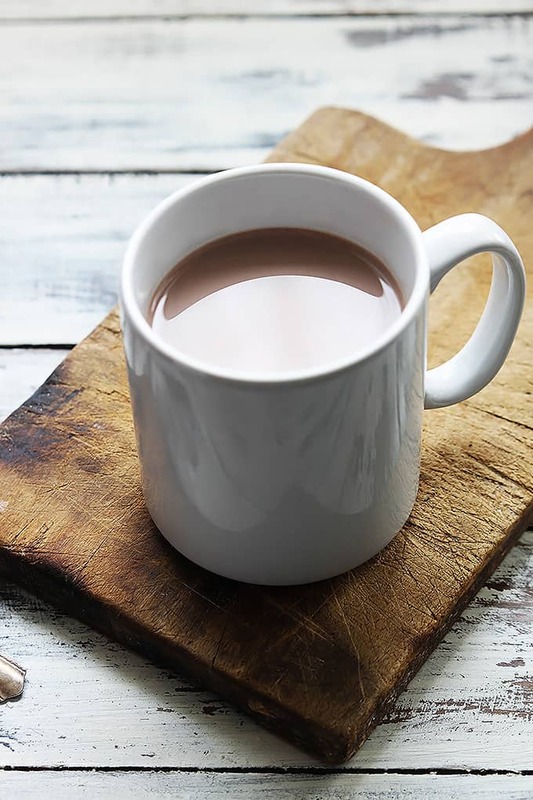 Have you tried making real hot chocolate in your slow cooker?? “Real” meaning made from actual chocolate instead of powder. Don’t get me wrong, I use powdered hot cocoa like it’s going out of style. But if you haven’t tried making real-from-actual-chocolate hot chocolate, you need to. 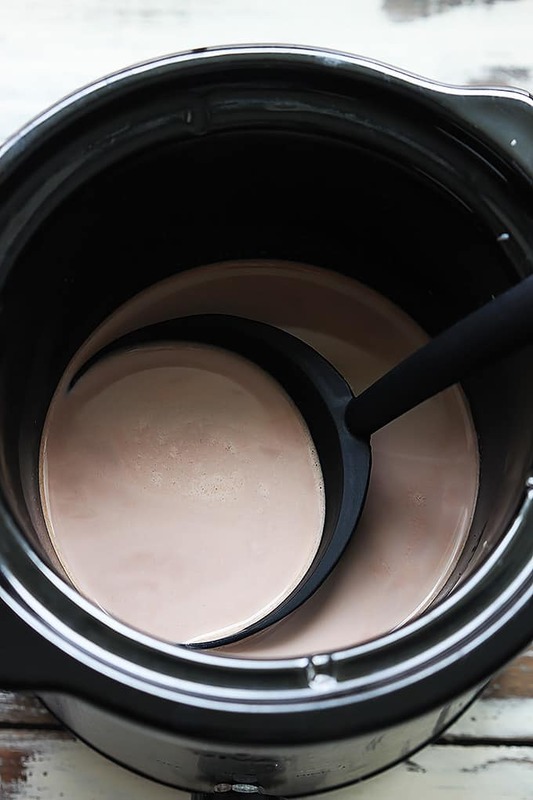 Use your crock pot for no-fuss amazing hot chocolate. You just dump everything in there, let it do its cooking thing, and come back a couple of hours later for the best salted caramel hot chocolate of your life. Not into salted caramel? No worries, you can leave out the salt and enjoy creamy plain-caramel hot chocolate. Bonus: serve it straight from the slow cooker to keep it nice and hotttt. 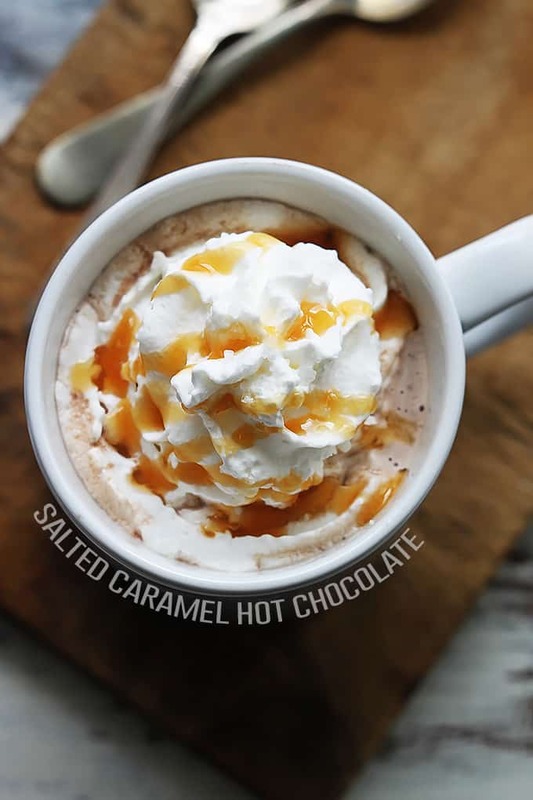 Creamy, rich salted caramel hot chocolate made right in the crock pot! Add chocolate chips, caramels, milk, heavy cream, and vanilla to the slow cooker. Cover and cook on low for 2 hours. Stir the hot chocolate. 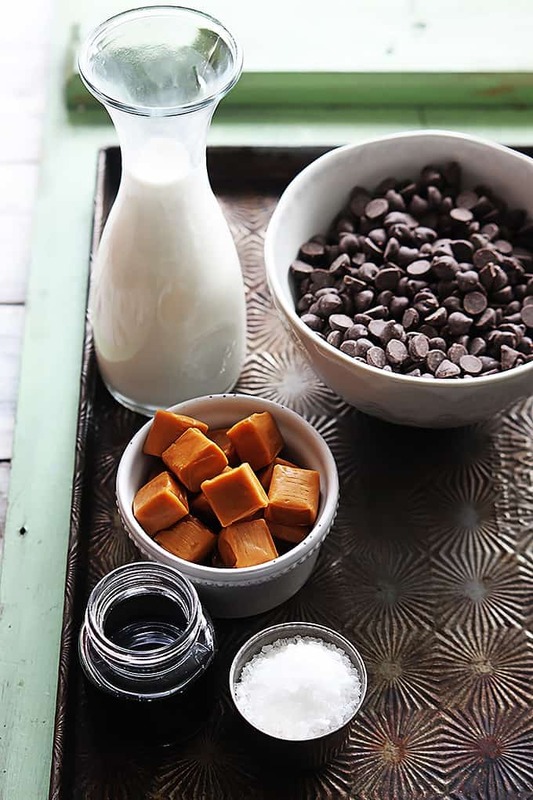 If the chocolate chips or caramels are not completely melted, cover and allow to cook for 20-30 minutes longer. When ready to serve, stir in the sea salt. 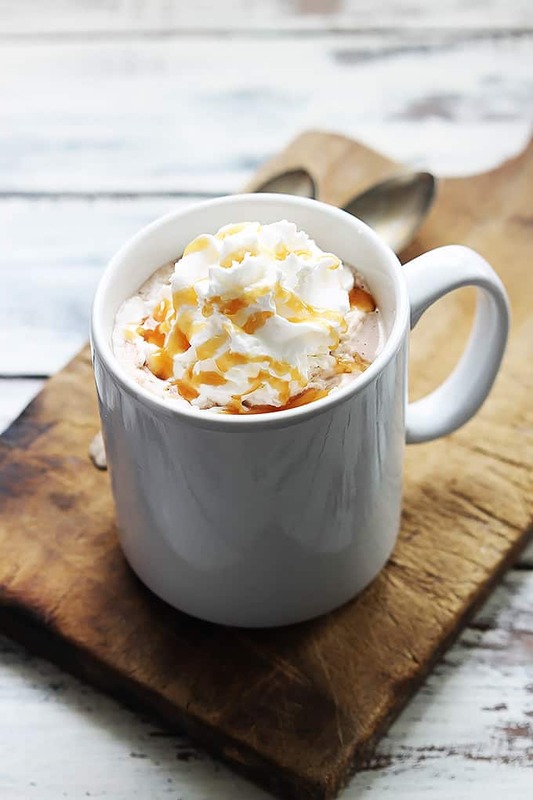 Serve hot with whipped cream and additional caramel sauce if desired. More Drink Recipes you'll love! I’m alllll about the salted caramel, and in drink form??? Yes please! Try putting vanilla ice cream, hot chocolate packets and milk in the blender for hot chocolate milk shakes. They are so good. 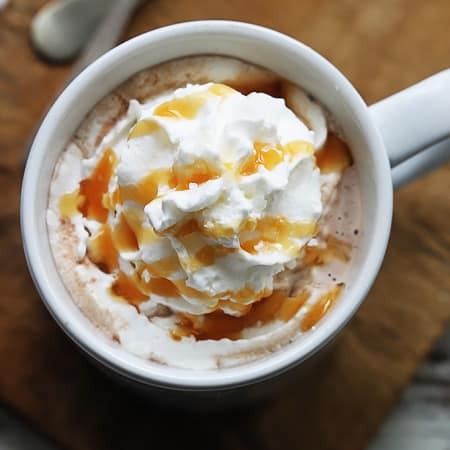 I’ve never tried homemade hot chocolate – but I am a huge hot cocoa addict too and I know that I need this in my life asap. I look for any excuse to drink hot cocoa, even if its just a little bit chilly… that reminds me, time for a cup! Have you ever made this with sweetened condensed milk? Half of the crock pot recipes i have call for that.. I haven’t but you could try it! Did it work with condensed milk? If you keep it in the crockpot on warm or low it will stay good for hours! You can always put it in a tupperware in the fridge and re-heat it later too! How could an affinity (kinder word than ‘addiction’, don’t you think?) for hot chocolate?? Isn’t it an essential food/drink? I’m sure I’ve seen it on the Canada Food Guide – you just have to look between the lines. I just discovered salted caramel last winter and it’s an excellent companion to hot chocolate!! Meant to say “How could an affinity for hot chocolate be wrong?” Obviously my brain was overcome by the contemplation of Salted Caramel Hot Chocolate!! This seems a gorgeous and rich hot chocolate that will get appreciation from kids. Just made this last night and it was fantastic! We added whipped cream vodka for an adult take on it. Thanks for the recipe! Hi! I’m planning on making this for a bunch of daisy Girl Scouts, and I don’t think they’ll all love the caramel. Can I just leave it out? Thanks!